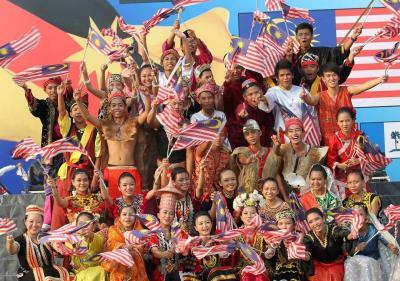 Pusat Sumber SMK Bandar Utama Damansara (3): Happy Malaysia Day! It's that time of the year when we celebrated that special event of the year. It is the day Malaya united with Sabah and Sarawak to form the sovereign nation of Malaysia. Almost half a century of unity down the road, and Malaysia now has progressed much, much, much further than it was before in the past. New brothers and sisters flooded into the already poly-cultural Malaysia, and the mosaic of nationhood just got more colourful. As the philosopher quietly ponders these things, we students just come to a succinct conclusion, tomorrow, there is no school! Bonus holidays for everyone! With that, we from the Library would wish you all a Happy Malaysia Day, and a pleasant holiday tomorrow!